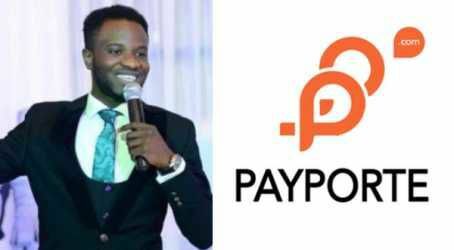 According to Dee-One, Payporte owes him about N450k since June this year, and they have since severed communication ties with him as they fail to pay up. He wrote;This post is not to defame payporte or bring anyone down. Payporte pushed my team to this point. I have explored every option to get this resolved but nothing has worked. Mr bassey has made it mission impossible. 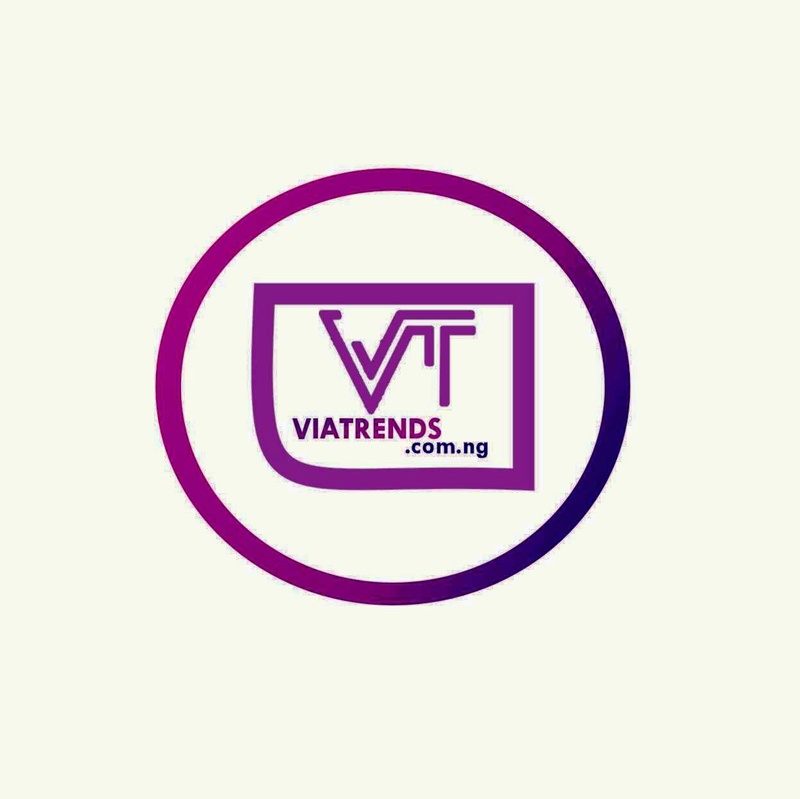 Vvip Tickets for deeone evicted lagos were purchased by parporte in may. After I personally dropped them off at the office, i spoke to him over the phone informing him that i dropped off the tickets as agreed, He asked for a discount and i yanked off 10% off the original price of 500k.To cut the long story short, since deeone evicted Lagos ended in june. I gave enough time to pay up at their convenience but i never heard anything from payporte.So i had no choice than to call mr bassey to find out what it is exactly, but he doesn’t pick up my calls nor reply my text messages. I ignored this disrespect to my brand and went ahead to his office so many times, dropped numerous messages with his staff all to no avail. Its been six months now and no word from payporte. The most annoying part is not even his refusal to pay up his debt but the fact that that he has decided to completely ignore and not communicate which is just not right. Payporte gave out these tickets to their followers online and i am so sure those that attended got value for money. We even ran ads for payporte at the show with over one thousand people in attendance even tho they weren’t one of our sponsors, we did that to appreciate them. One brand too has not paid up yet but they have not stopped communicating with me on developments of happenings which is very ok by me and my entire team. But total refusal to communicate with me or my team by payporte is totally unacceptable and unjust. We don't even want payporte to communicate anymore, payporte should contact the team and pay up or else i will go further and drop videos everyday till they do the needful. 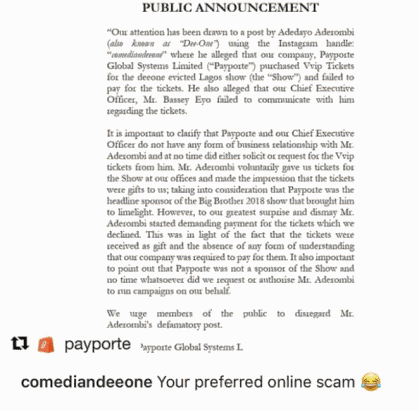 However Payporte who reacted to the call out post, denied having any form of business relationship with him, to which Dee-One responded by calling them “Your preferred online scam ”.